Hello everyone! 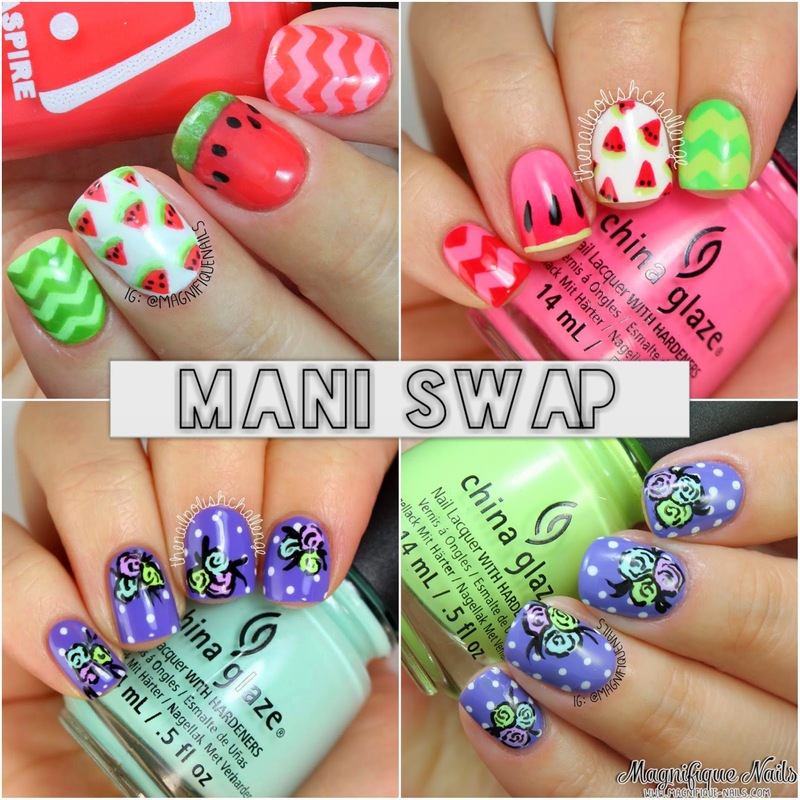 I'm so excited for today's post, I have a Mani Swap with the lovely Kelli from The Nail Polish Challenge. I was actually, honored and fangirling at the same time, when she asked to do this swap with her. Her swatches and nails are always flawless and incredible to look at! 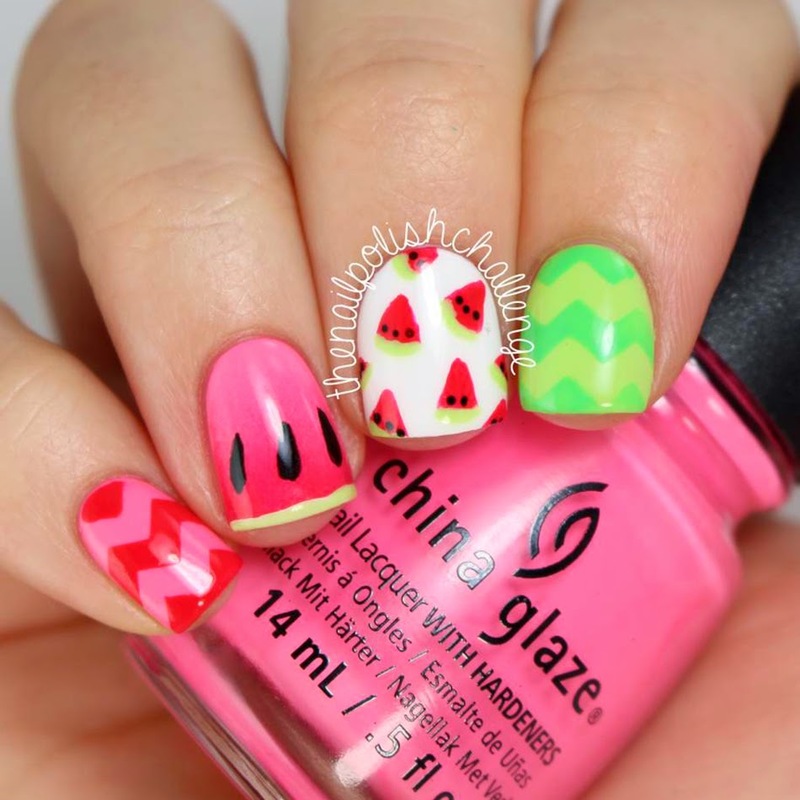 For the swap, Kelli recreated my watermelon nails, which looks amazing. 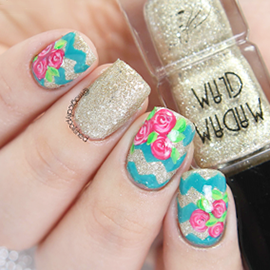 I recreated her adorable polka dots and floral design, in which she was inspired by another nail artist. I began by applying two coats of China Glaze What A Pansy, from their City Flourish Collection. I truly love this color and the application was so easy to apply. Once the polished was completely dry, using a dotting tool I added a few dots on the nails. With detailed brush, I applied small circles with China Glaze At A Vase Value, Grass Is Lime Greener and Lotus Begin. I then outlined the florals and leaves using Sinful Colors Black on Black. Lastly, I sealed the design with H K Girl Top Coat, that's it! Overall I loved how these came out, the color combination on these were my fave.